Want to become a Doctor? Dress like a Doctor? 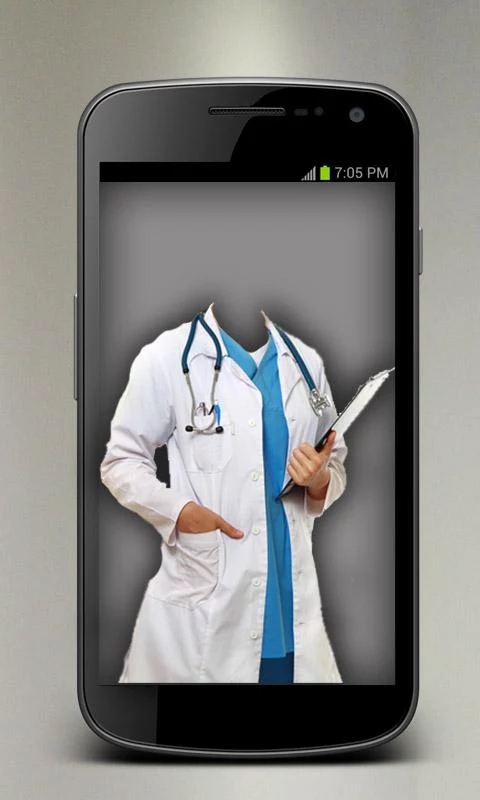 Use this application to create a photo of yours or of your friends in Doctors Suit or Cloths. We have provided ready made Doctor Suits in form of frames using which your can easily create photos of yourself wearing a Doctor’s suit. You can either use the mobile camera directly along with provided frames or use a photo from mobile gallery to make Doctor Photo. We have provided various editing tools that will make your photo look natural and will look like a real Doctor. We have provided frames for both male and female Doctors. 1. We have provided you ready made Doctor Suit frames. 2. Firstly select option : camera mode or photo mode. 3. In case of camera mode, the frames will appear within the camera screen while taking picture. You need to adjust the camera to set yourself within the frame. 4. Or you can place the frames on any photo within you mobile gallery. 5. The picture will look natural and real. 6. Easy adjusting ways to make a real picture. 7. Instant share the edited pictures with friends and family.